Creating a realistic budget is one of the first steps recommended for anyone considering building a custom home. You really need to have some kind of budget in mind before you start considering floor plans and construction. How do you arrive at a realistic budget? 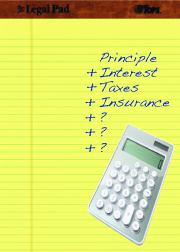 There are all kinds of home mortgage calculators available that can help you calculate what you can afford, but there’s more to creating a homebuilding budget than simply principal, interest, taxes and insurance (PITI). What else should you be considering?